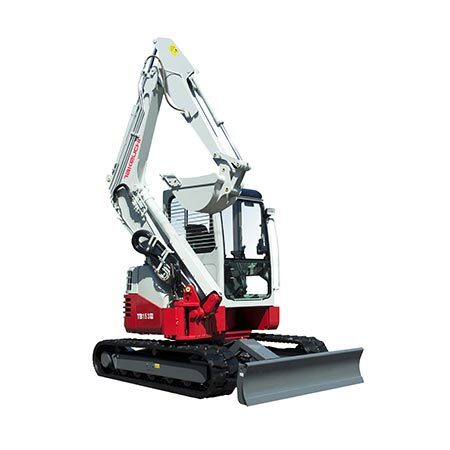 Side-to-Side (STS) Boom System – Provides unmatched visibility to the work equipment and it allows the machine to operate in very confined areas, rotating 360 degrees just inches beyond the width of the track. 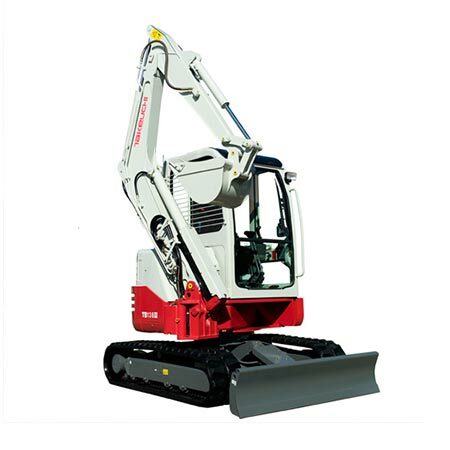 Unmatched Capability – The Full Rotation (FR) design allows the boom to come back over center enabling the machine to make a full rotation in very tight work sites. 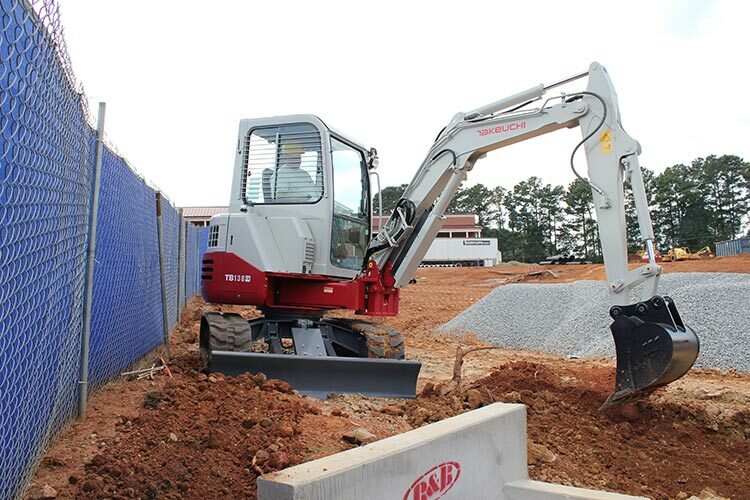 Powerful Dig Forces – Takeuchi’s excellent arm and bucket power provide the perfect combination of power, speed, and versatility at your fingertips. 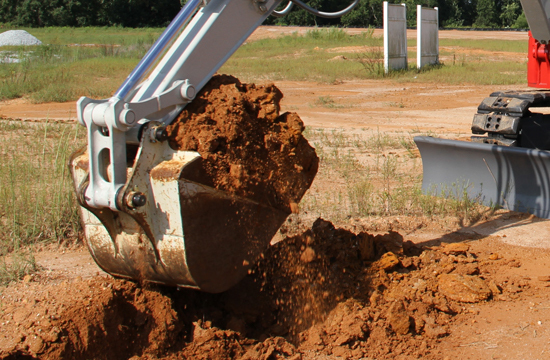 The dual pin position bucket allows even more flexibility to adapt to the job conditions. Automatic Step Down Travel Motors – Provide torque on demand when pushing, climbing, or turning in high speed mode. Standard Auxiliary Hydraulics – Simplify installation of hydraulic attachments improving productivity and limiting downtime. 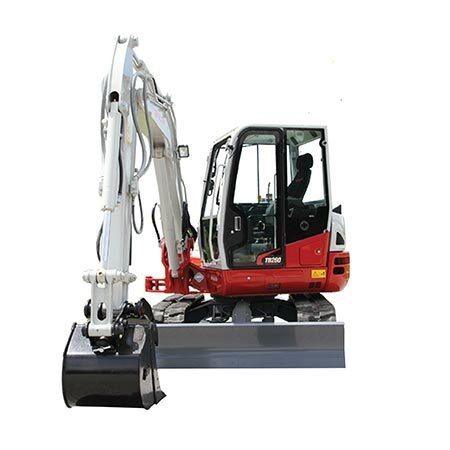 Long Track Frame – Provides great stability and the high torque drive motors provide great power for maneuvering and dozing. Emission Compliant Engines – Provide outstanding power, fuel economy, low noise levels, and long service lives. 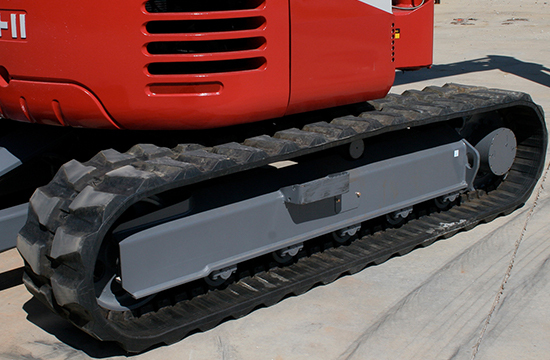 Triple Flanged Track Rollers and Short Pitch Rubber Tracks – Provide increased roller/rail contact improving ride quality. Weld Quality – High quality steel and superior weld quality ensure durability and longevity. Heavy Duty Counterweight – Offers wrap around protection and contributes to the excellent stability. 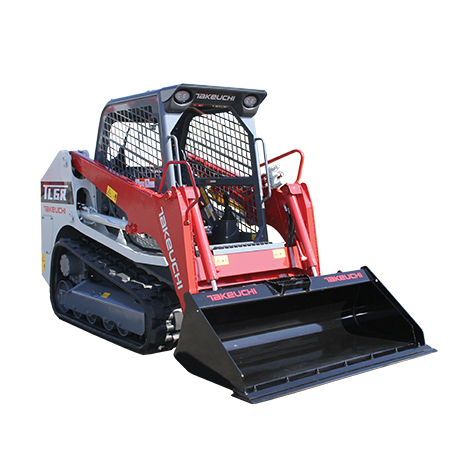 All Steel Construction – The engine hood, side covers and access panels are all steel for increased durability. Heavy Duty Blade – Integrated gusset reinforcements and large blade cylinder give you the strength and durability you expect from the class leader. 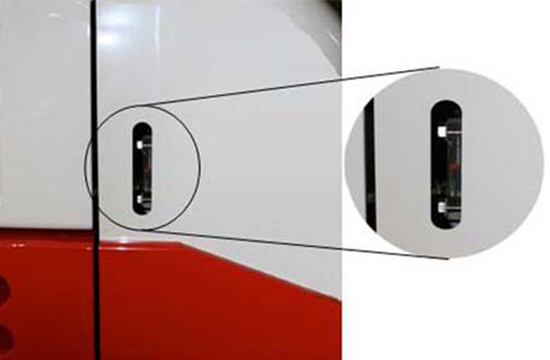 Operator’s Station – Delivers excellent visibility and operator comfort while providing easy entry and exit. Folding Foot Pedals – Can be placed in the stowed position for additional foot space improving operator comfort. Suspension Seat – Provides weight adjustment along with fore and aft movement and is also equipped with a 2 inch retractable seat belt. Pilot Operated Joystick Controls – deliver precise responsive controls, and are low effort reducing fatigue. Optional Control Pattern Change Valve – Allows the machine to be matched to the operator’s preferred operating pattern. 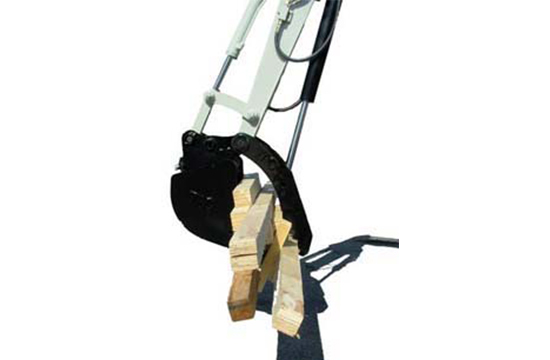 Superior Visibility – The unique side to side boom system provides superior visibility and unmatched stability when working in the left or right offset position. 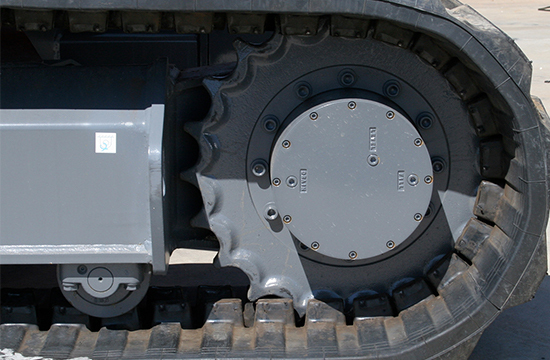 Tilt-up Operator’s Station – Provides outstanding access to engine and hydraulic components. Heavy Duty Cooling System – The side by side radiator and oil cooler features increased cooling capacity and are easy to inspect, clean and maintain. Easy Routine Inspection – Hydraulic fluid sight gauge allows for a quick visual check of the oil level. Rear Engine Access – Provides convenient access to daily checks and routine maintenance points.